Feel like the Nintendo Switch could do with more innovative racing games? Well you are in luck as a new Co-operative racing title is coming to the Nintendo Switch and other major platforms. Rising Star Games have partnered with Supergonk to bring Trailblazers to all major platforms. 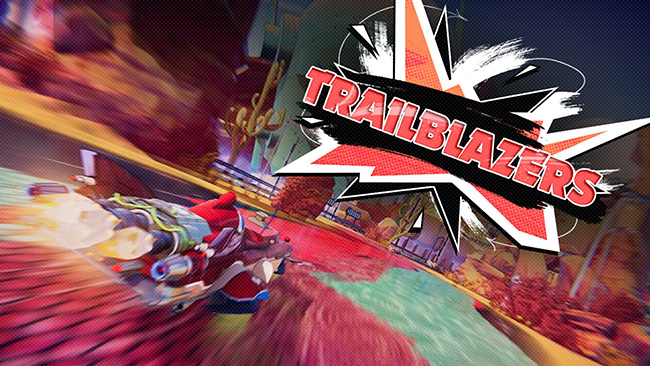 Trailblazers has you working together with your team mates to paint the tracks you are racing on which will allow you and your team mates to boost on your colour. Race in teams up to 3 vs 3 painting the track as you race, capturing key areas to change the racing line dynamically allowing other the other members on your team to be able to boost and essentially win the race. Racers can also amass skill points to blaze their way to victory by driving with flair and style. Players can play with up to five other players online or locally via split screen for up to four players with additional online or CPU-controlled challengers in blistering high-speed action.